Elder Care Northbrook IL: Did You Realize Caregiving Would Ask So Much of You? For some caregivers there was never a question about whether or not they would be the one to help their aging family member. But the reality of the situation can be kind of a lot to take in, especially for brand new caregivers. If that’s the situation that you’re experiencing, you’re not alone. There is help for you, though. You’re going to experience emotions as a caregiver that shock you. You might find yourself feeling angry or frustrated with your elderly family member, even as you love her and want only the best for her. You’ll also find a lot of joy and happy feelings in caregiving, which can sometimes leave you bouncing back and forth a bit. Depending on your senior’s health and her needs, you’re probably going to spend a lot more time with your elderly family member than you expect at first. That’s something that in the short term never seems like a big deal. But if this is a long-term situation, you’re going to find that more difficult than you thought initially. No matter how devoted you are to being a caregiver, there are some days that you just won’t feel up for the challenges and demands. That’s normal, although it might feel as if you’re being selfish. It’s difficult to see the changes that your senior is going through and it’s tough to be “always on.” Those types of demands are difficult for anyone to face every day. In addition to emotional and mental challenges, you might be facing physical challenges, too. Long days and nights where you’re not sleeping as well as you need to be can take a lot out of you. 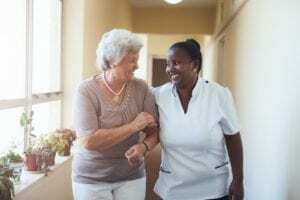 But if your elderly family member has mobility issues, too, that means that you need to learn how to help without damaging yourself physically. It’s a lot to learn, especially if you’ve never done anything like this before. Having someone else to rely on, like elder care providers, can help you to make space for yourself in caregiving. They can help you with the tasks that never seem to end and give you the break that you so desperately need. It’s not selfish or wrong at all for you to need someone else to step in from time to time. Excerpt: There’s a lot about caregiving that you might not realize until you’re deep in the thick of it. 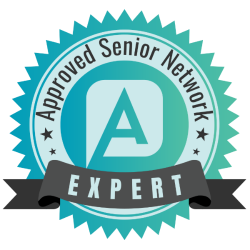 If you or an aging loved one are considering Elder Care in Northbrook, IL, contact the caring staff at Companion Services of America today at (847) 943-3786. Our home care service area includes Northbrook, Highland Park, Deerfield, Glenview, Buffalo Grove, Evanston, Des Plaines, Skokie, Lake Forest, Wilmette and the surrounding areas.